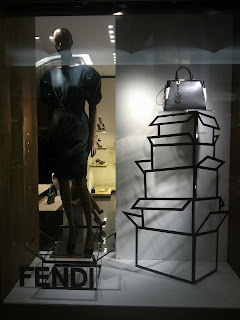 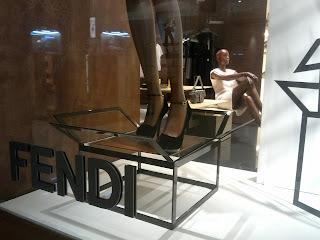 The lonely mannequin of Fendi is now having companions. 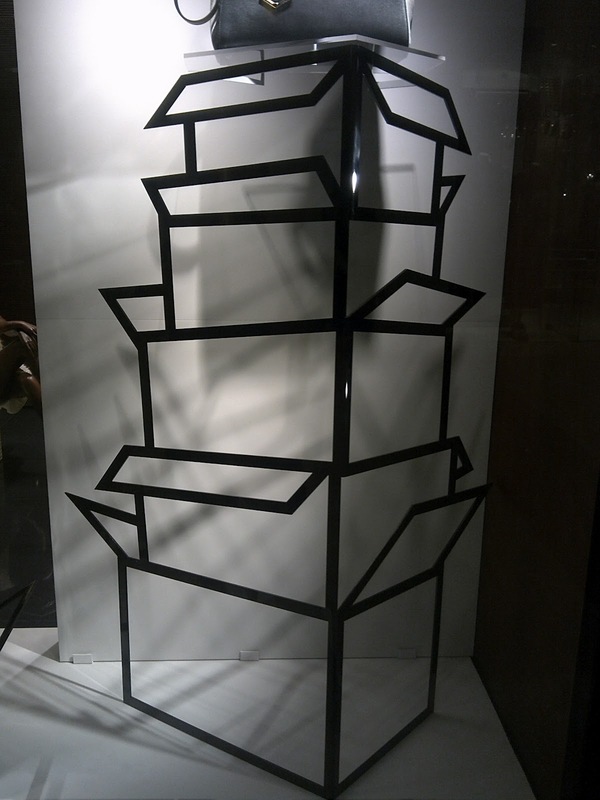 There are metal installations that form shape of boxes. The mannequin stands in an open up box, while the bag is put on the very top of boxes.